It’s felt like a long time coming, but the Addicks grabbed their first win of the season this weekend, defeating in-form Leicester 2-1. Coming in to the game the Foxes, who brought a large contingent of fans down to the capital, had won three and drawn one of their four league games. With the Addicks visibly low on confidence, this should have been a straightforward game for the travelling side, but for the third straight game ‘apprentice’ Powell saw off his ‘master’ Pearson, as his defiant side battled to victory and claimed their first three points ahead of the international break. Following the impressive performance (albeit defeat) at Huddersfield in the cup on Tuesday evening, Powell kept faith with the 5-3-2/3-5-2 that Charlton had been working on during pre-season. Wilson and Wiggins flanked Morrison, Dervite and Cort, with Pritchard Stephens and skipper Jackson in the midfield. Kermorgant and Church started alongside each other once again, with the former looking to make it three in three against his old club, and the latter in good scoring form with his new club. Charlton continued where they had left off against Huddersfield. Looking comfortable in the formation, the extra centre back aided them in snuffing out Leicester attacks, and restricting them to long-range efforts. When they retrieved the ball, Wilson and Wiggins were diligent in driving forward to form a five-man midfield, whilst Stephens also looked prepared to delve forwards with the protection of two other central midfielders alongside him. For all their confident, flowing football, it was a set piece that saw the Addicks take the lead. Michael Morrison, on his 100th appearance for the club, rose highest and nodded Stephens’ corner past Kasper Schmeichel, sending the Addicks into the lead for the first time in a league match this season. The pattern continued in the second half, and with the defensive unit shutting out any avenue that the Foxes tried to exploit, it appeared that there would only be one winner. This feeling was furthered after 57 minutes, as Charlton had another corner. This time it was Jackson to Kermorgant, but the result was the same, as the Frenchman guided the ball past the Leicester ‘keeper. Whilst Drinkwater pulled one back for the 10 men (James sent off after 50 minutes for dissent), the Addicks defended resolutely, and but for some inspirational goalkeeping from Schmeichel would have won more comfortably. They held on though, and as the whistle blew relief flooded The Valley. As well as the altered formation, Powell kept faith with players that had impressed. Pritchard in particular was fantastic against Huddersfield, and continued to justify his starting berth with an energetic performance against Leicester. Jackson’s leadership was also vital, especially when Charlton needed to defend, but the Addicks appeared to have tightened up all over the park. Evina may feel unlucky not to have been given a start, with Wiggins looking poor in recent performances, but Wiggins certainly upped his game this weekend, and it will have been exactly the response that Powell would have wanted. As for Yann Kermorgant, there isn’t much more to say that hasn’t been said already. Cult hero at The Valley, the Frenchman has become one of Charlton’s most important players over the last few seasons. That important is only heightened when his former employers are in town, and this weekend he looked like a man possessed. Tracking back, last-ditched tackles, holding the ball up, distributing, he had everything. The Leicester players couldn’t get near him, and for the third-time in as many games he silenced the Foxes fans with a goal. His chipped penalty in a playoff semi-final could have made him a Leicester hero, but the miss instead turned him into a super-villain. Shunned by the club, and made to train with the youth-team, Kermorgant became disillusioned with English football and headed back to France. A young Powell had seen enough of Kermorgant at Leicester however, and offered him a chance to make a name for himself at Charlton. Kermorgant continues to permeate into Charlton folk law, and with yet another goal against his former club and ‘he chipped for a laugh’ ringing out through the Covered End, he’s added another piece of history to his already magnificent Charlton career. After the game Powell said he’d tell Kermorgant that they’re playing Leicester every week, and with three goals in three games against the Foxes that might just work. What was most pleasing from a Charlton point of view was that it looked like the confidence was back. The players looked passionate, defiant, and reliable against a very good Leicester team. They’re desire to play for Chris Powell has never been brought under question, but their lack of confidence has certainly undermined their determined character that drove them through so many games last season. Now the first win is under their belts, the confidence will come back, and after the international break they can really kick on. 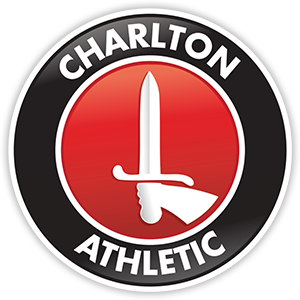 Charlton are back!